My name is Lovepreet Singh Gill and I have lived my whole life in Kolkata. 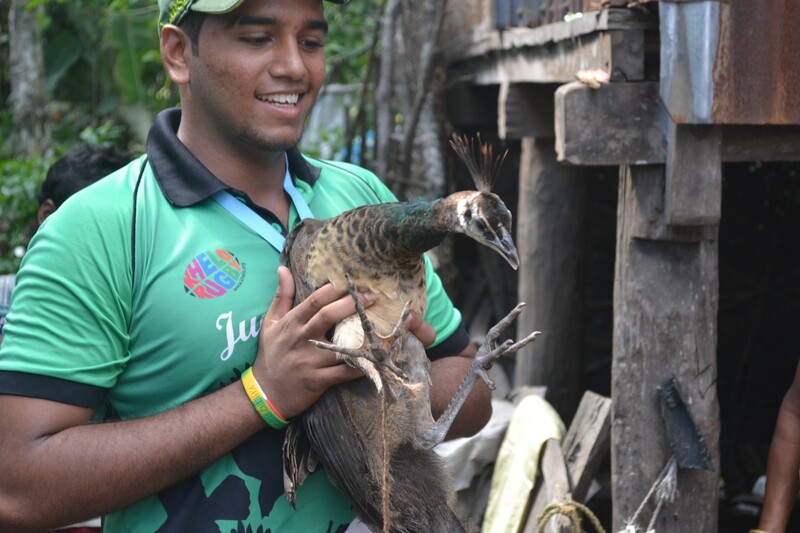 I started playing Rugby more than 3 years ago starting from the Winter Camp organized by the Jungle Crows Foundation and I have really loved playing and training with my team – the Jungle Crows. The founder of our club is Paul Walsh and with him we now we run the Khelo Rugby program for children from disadvantaged communities. 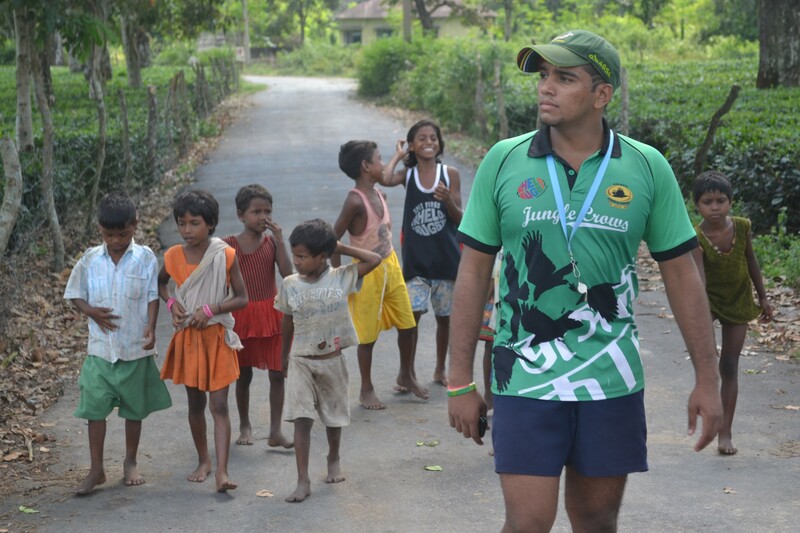 I am involved as a full-time coach in the program, in which I go to the communities to do rugby coaching and have some fun with the kids, while helping them to have a good way of life. I have also been involved in Netball and I have been doing the same in the schools while teaching netball. On Saturday morning, we also have our Rugby Academy sessions were children from all over come to learn proper rugby. Having been involved with the Khelo Rugby project and Academy for a while, I received a fresh challenge in October 2014 from the foundation. 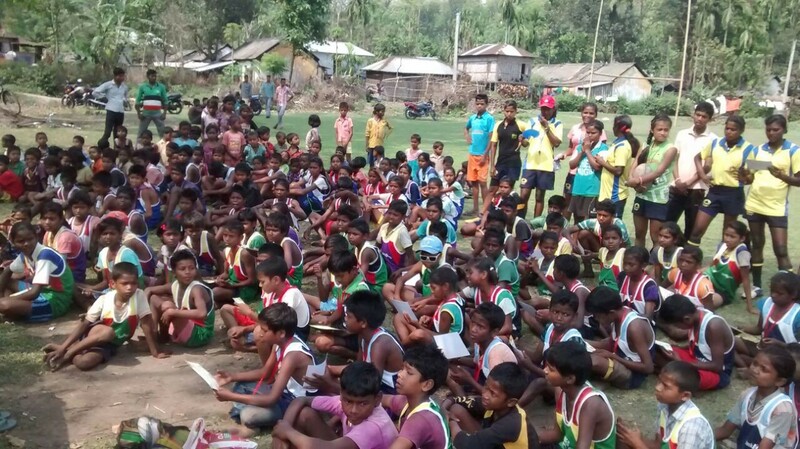 I was selected to manage our Khelo Rugby programme in the North of Bengal in a very rural village called Saraswatipur. The nearest big town is Siliguri and that village was right in the middle of the jungle! The previous coaches were Sanu and Amirul, and as their time in the village was over, Paul requested me to do some work there. I was little bit scared when I heard from my colleagues that lots of wild elephants are there in that jungle! The three and a half months that I was there was amazing and I found any number of really talented children. Not only in Rugby, but even in other activities like dancing, football, volleyball etc. The children were very enthusiastic and they were really good at catching new games. The participation of the girls in rugby in Saraswatipur is more than in the town.The senior girls team were already very good in the game and all the credit goes to Sanu and Amirul who made it possible through their hard work. I didn’t have too many difficulties while coaching them because all the boys and the girls were listening to each and every thing through my coaching sessions! Victory In For the Girls! When I heard that the All India Under 19 girls 7’s tournament was coming up, myself and Sukumar (who joined me for a month and helped me a lot) had planned to do plenty of good training sessions with the girls – using drills, developing their fitness and working on their other weaknesses. 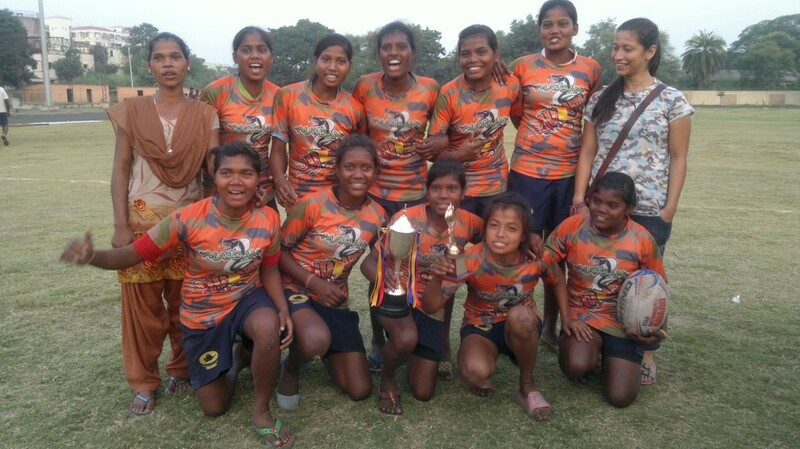 The girls worked very hard and came runners-up in the All India tournament. On that day, I felt really proud that I was able to coach such talented girls and to win in only their second tournament outside was indeed a great achievement for them. One day I planned with the local boys that we will go deep into the jungle where the villagers are allowed to hunt for birds and pigs, we were about 10 boys and they all were excited about it. Next day in the morning, I was excited but nervous about facing the elephant, still I heard a voice in my heart – “lets go, we will see what will happen!” I took my catapult and lots of parle-g biscuits in my bag and we all arrived at the jungle for a day of lot of fun! We came back and on the same night, a jungle elephant came into the village! It was the first time I had seen a jungle elephant in the open and all the people (including me) were shouting “hurrrr hurrr” so that the beast would go back to the jungle! Like every year, in the last week of December, Jungle Crows Foundation organized a winter camp at Kolkata and at Saraswatipur in which more than 400 hundred kids participated. The main motive of that camp was to have fun with kids. This time I got the opportunity to do the Winter Camp in Saraswatipur and make it successful. Parvez was there to help me and previous coach Sanu also came along. Before the winter camp started, we organized a one day workshop with young boys and girls about how to become a good leader. We had given the tasks to them to create new fun games which we can apply in the winter camp. After that, we selected the best young leaders who will do coaching in winter camp and this time we said to the young leaders that, in this winter camp, the main focus is to teach boys and girls in the age group of 13-16 about proper rugby. Through the blessings of god and hard work of young leaders, the Winter Camp went excellent! All the young leaders and the kids said that this was the best winter camp they had! I felt so good, no one can imagine that! It was all possible due to my mates – Parvez and Sanu. Big thank you to them. I have been back in Kolkata for some time now, in my home and felling happy but I miss Saraswatipur a lot. For a number of days, I was there and I didn’t miss my family at all much because the boys and girls there gave me so much love and respect that I will never forget. Miss them all a lot. But I have so many great memories from my time in the jungle and village, I will cherish them forever!